Thank you for visiting. I warmly welcome you to learn more about my activities and to get in touch. I am the conductor and co–founder of Eureka Ensemble, with the mission to nurture social change through music, and the music director of the Kendall Square Orchestra. 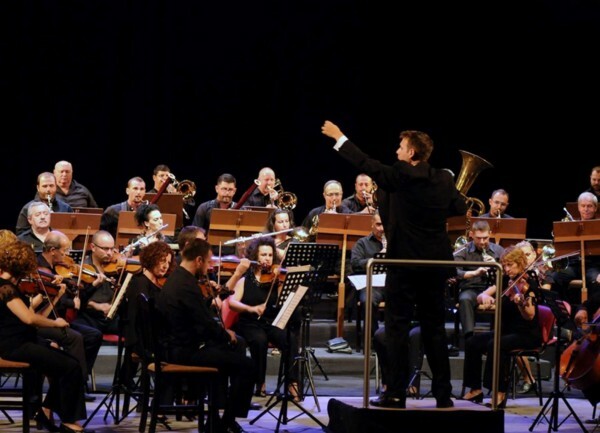 I made my professional conducting debut with the Albanian National Orchestra in 2014 and my opera conducting debut in 2018 with the Vienna Summer Festival Opera. Off the podium, I coach chamber music at Harvard University as a non-resident tutor with Pforzheimer House, advise music organizations in Boston on artistic programming, social entrepreneurship, and audience development, and speak to schools and organizations on the power of music for social change and leadership. This year, I co-founded The Women's Chorus (TWC) to bring together women experiencing homelessness and severe poverty through music; the program operates out of the Women’s Lunch Place, with two rehearsals every week and private lessons with professional singers. Every concert raises funds for a cause that the women care about in addition to spreading awareness on homelessness issues. My vision is simple. Musicians have a far-reaching capacity to bring people together. When you think of an orchestra, in other words, a platform in which different groups of people (in our case, violins, horns, trumpets, etc.) work together in pursuit of one common goal, you discover a powerful model for teamwork and community-building. The love, patience, discipline, and care that a musician gives to each note they play and to their colleagues playing with them in any given musical moment translates to how we as human beings can treat ourselves and each other. Fall 2018 brought with it many exciting activities. I gave a number of concerts with Eureka Ensemble, Rivers Symphony Orchestra, and Kendall Square Orchestra. I also gave my first ever TEDx talk on conducting and music–making as tools for social change, as well as my first leadership workshop with LeadersQuest, a social enterprise that works with leaders to create a more equitable and sustainable world. Now as 2019 is getting off the ground, I’m excited to continue building The Women’s Chorus program at Eureka Ensemble, which will include collaborations with New England Conservatory, Handel & Haydn Society, Voices Rising, and the Cantilena Singers, among others. I will also make my debut with the Narragansett Bay Symphony in a program of the Elgar Cello Concerto with cellist Clara Yang and Mahler’s First Symphony. With the Kendall Square Orchestra, we are preparing for three performances, in collaboration with the Cambridge Science Festival, Mass General Hospital, and Boston Symphony musicians. In May, we will hold the first “Symphony for Science” concert to raise funds and awareness on the devastating disease FTD (Fronto Temporal Disorders), together with Boston Symphony Musicians, including Keith Lockhart on piano, and local scientific leaders. Eureka Ensemble’s spring 2019 initiative is titled “Through Struggle to the Stars” and will feature the Women’s Chorus, young students from immigrant and refugee backgrounds in Chelsea, MA, works by Mexican and El Salvadoran composers, and Tchaikovsky’s monumental 5th Symphony. I’m quite excited for the months ahead!